Halloween in March! 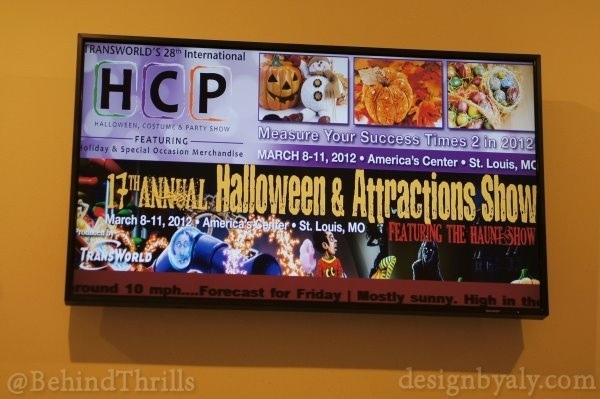 We’re at the 17th Transworld Hauntshow. 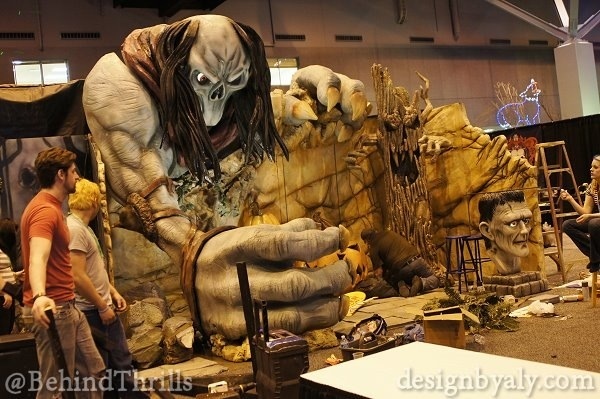 Follow along as we take you inside the world’s largest Halloween and Attractions Tradeshow in St Louis MO! This is a must attend event for anyone in the Haunted attraction industry. With 100’s of the worlds best haunt vendors and professional make-up artists all in one location! This is “The” show for haunted house owners and operators. Here you will see some of the worlds top pneumatic props as well as the latest and greatest high tech attraction gadgets. 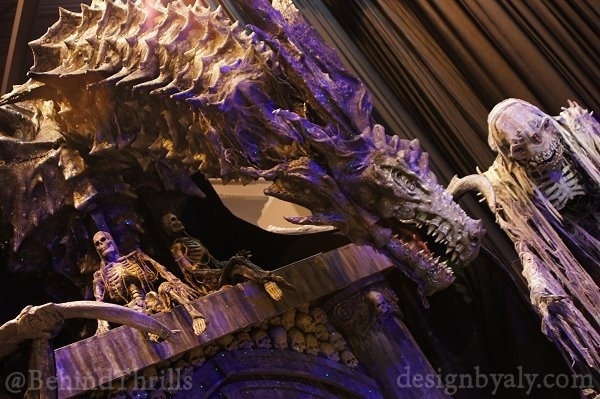 Need theater special effects, gory bloody makeup, or movie quality costumes? They have that too. 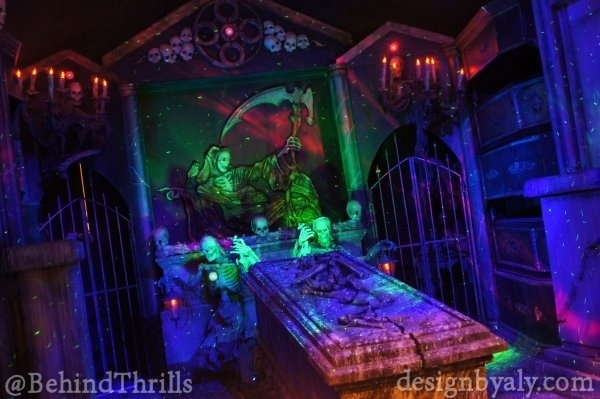 The show also features a special “Dark Zone” area that is for all props and sets that require total darkness to show off their props! The Dark Zone is never shown with lights on to the buyers. Yesterday we took you all on a behind the scenes mini tour of the dark zone set-up with lights on. Over the next 4 days we will take you inside the America’s Center show floor and hit all the hottest events surrounding this massive convention in downtown St Louis. Throughout the weekend we will be interviewing some of the countrys leading make-up artists as well as some of the top vendors, haunted house owners and show sponsors. We just bumped into the cast of “Face Off”, the hit tv show on SyFy! 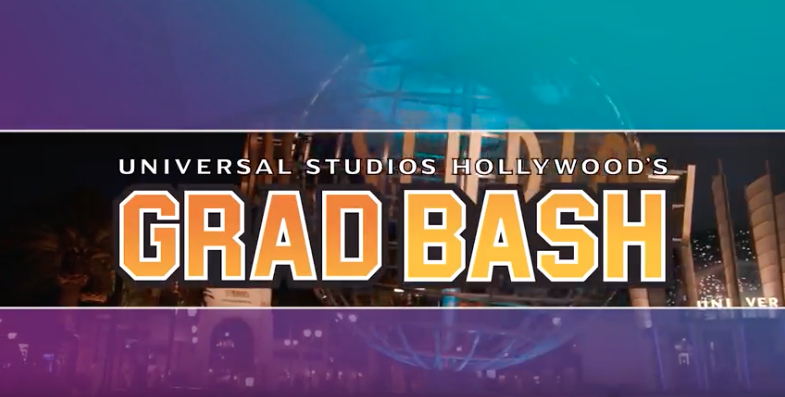 Previous PostKids "sneaking" into Transformers ride at Universal Hollywood provides an inside look Next PostRumor Mill-Will ET survive an attack from Bikini Bottom?